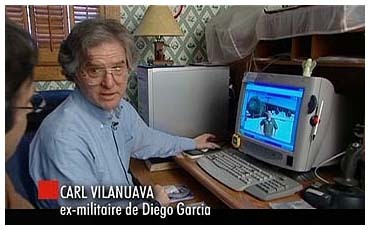 Link to the official Central Intelligence Agency "Diego Garcia, BIOT Factbook"
My name is Carl Villanueva. 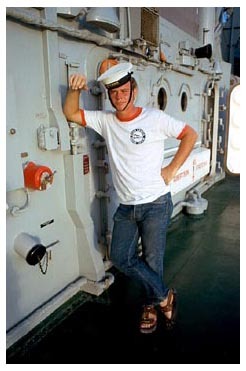 I was in the U.S. Navy from 1969-1973. 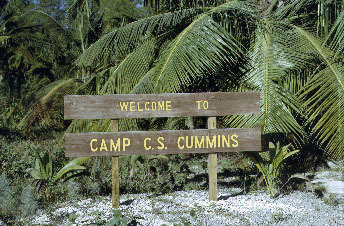 For those of you who were (or are) stationed on Diego Garcia, I trust you will enjoy looking at some of these old shots. Thank God for Photoshop! A long time ago I threw away a bunch of Diego slides that had grown mold while stored in the basement. If saved, I could have 'cleaned them up' with Photoshop...but that was before PC's and nobody knew what was coming down the road. Anyhow, here's a start on the big project ahead! Ted Morris (www.zianet.com/tedmorris) has already posted many of my images...so I won't go to the trouble of duplicating them all here...maybe later. Check the list at the end of this note for links to my other photos. I'll be posting shots I've sent Ted, but that he hasn't had the time or space to put online....which prompts me to say, "Thanks a million Ted for the GREAT web site you have given us!" 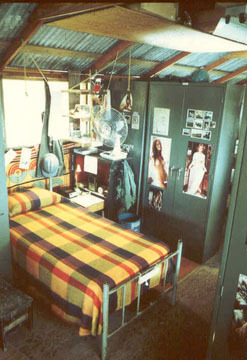 This website is intended to be a lighthearted look at the way things were back in the early days of the U.S. presence on the island...and a way for guys to get in touch with former shipmates through the guestbook. 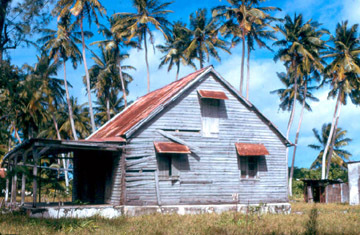 I know that many of us sympathize with the plight of the Chagossians who inhabited the island for generations and were removed from their island paradise without warning. 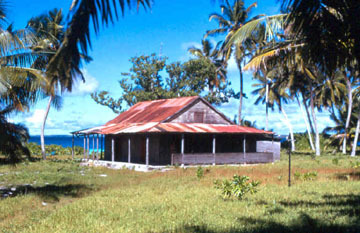 Recently a British court ruled in favor of allowing the former inhabitants to return to the island. 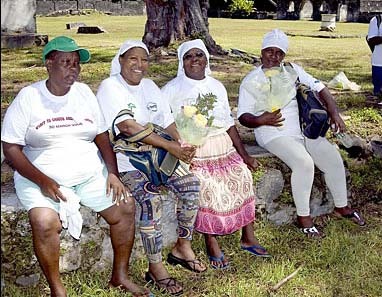 After a long court battle a group of 100 former islanders were FINALLY allowed to visit family gravesites and get a glimpse of what is left of what was their island home. This news was not mentioned at all in the United States press, but here are a couple of links about their return. 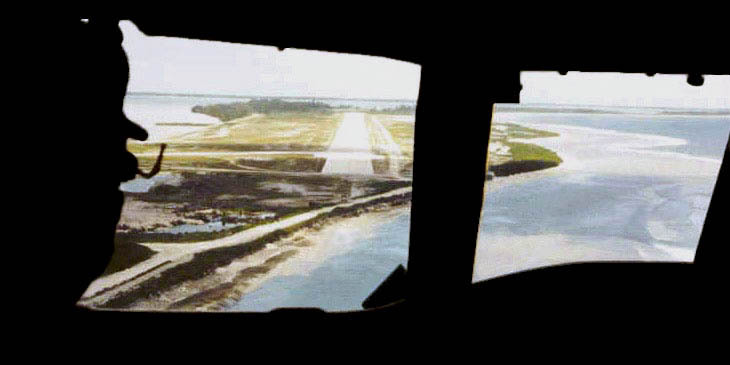 Here are some previous news stories and a June 16, 2003 news article by "60 Minutes"
For those of you that have always wanted to fly to Diego Garcia, you can! 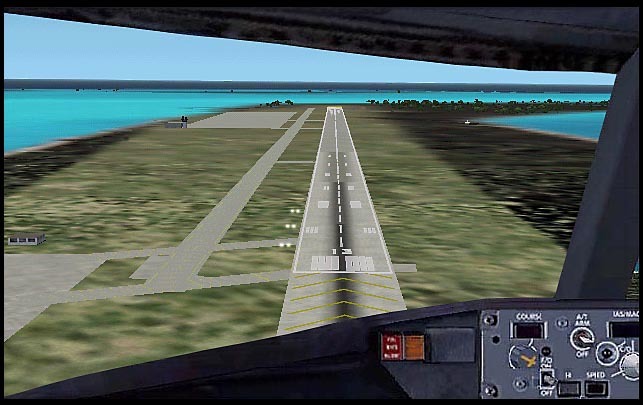 If you have Microsoft Flight Simulator 2000/2002/2004...open Flight Simulator, then go...'World' / 'Go to Airport'/type FJDG in the airport ID box, then click the green checkmark at the bottom of your screen. 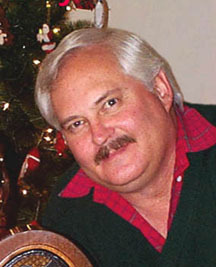 I invite you to look at the rest of my web site. I'm not a computer pro...am just doing this for fun. Feel free to contact me if you have any helps, corrections or criticisms. 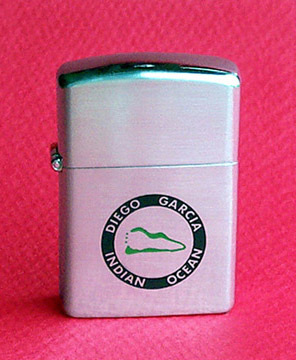 Check out my "Links" page for other Diego Garcia web sites and web groups. Also, if you were on The Rock, and want to link up with some long lost buddies, leave a note in the Guestbook at the top of this page. P.S. - While attending an aircraft identification class at ABH 'A' school at NAS Lakehurst, the guys found my last name difficult to pronounce...so they nicknamed me "Vigilante" (after the RA-5C Vigilante aircraft). 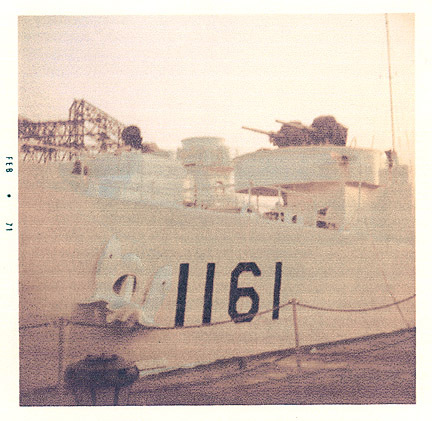 Upon completion of 'A' school, several of us were assigned to the same ship (USS Coronado LPD-11). 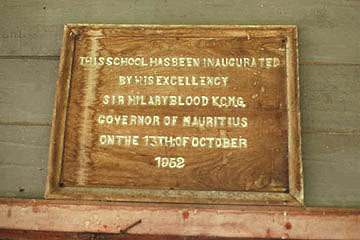 The nickname carried over and eventually got shortened to 'Vig' (pronounced Vidge). I doubt anyone would remember me as Carl. 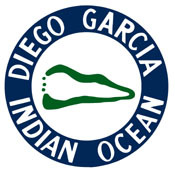 Oh, by the way, if you would like me to send you a rather large (824kb) file of the original four inch diameter Diego Garcia t-shirt logo (as shown above), just email me. You can make a high resolution print (or floppy disc) and take it to your neighborhood mall. Someone there can make a nice t-shirt for you. I've tried the "make your own tranfers" using my high quality HP Photosmart printer, but the transfer material is useless. It cracks when washed, ironing can cause burn marks and the "clear" areas have a tinge of tan...it looks awful. Don't waste your money...have a professional do it...or better yet, visit Tom Lawson's online store at: http://www.cafepress.com/diego_garcia. A newly updated edition of Richard Edis' book is now available! Though Mr. Edis regrettably passed away in 2002, this project was completed by several of his colleagues who helped produce the first edition. 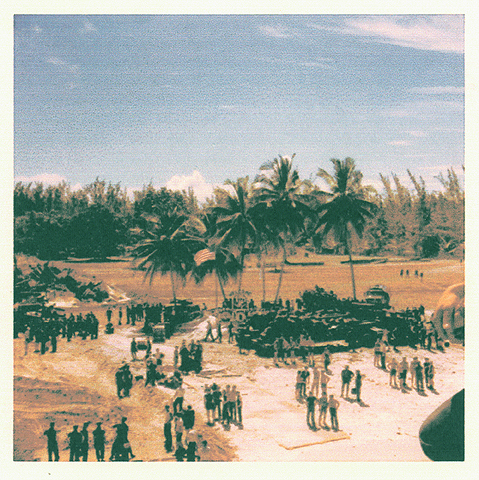 This new edition covers the story of Diego Garcia from the 1500's up to 2002. 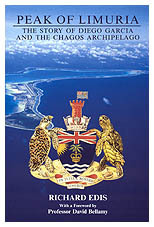 It is edited and published by the Chagos Conservation Trust. All proceeds from sales will be devoted to the Trust's ongoing educational and conservation work. The book sells for $20.00, plus $7.00 shipping. 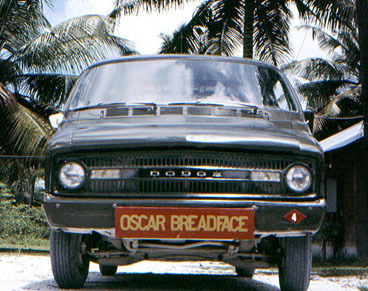 for a news program about Diego Garcia. Here are a couple of still shots captured off the television interview. Oops... so they botched my name. Heck, it isn't the first time anyone has done it...and won't be the last. filled my computer screen through much of the interview. 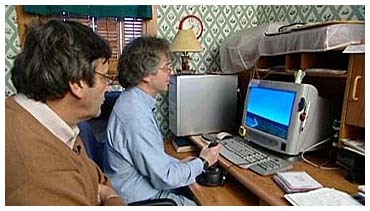 Jean-michel Leprince and I taking a ride "around the patch"
at Diego Garcia with Microsoft Flight Simulator 2002. We had a great time hanging out, eating pizza and talking about Diego. I was recently contacted by Ms. Sarah Melikian. 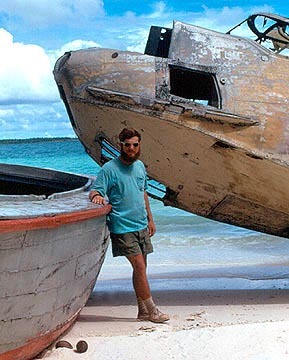 She is producing a film about Diego Garcia and looking for contributors. Ms. Melikian would appreciate hearing from anyone wishing to tell their story! 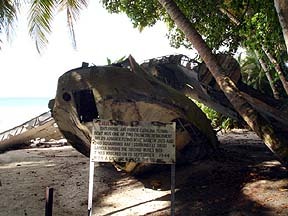 Thank you for your interesting and informative website about Diego Garcia. 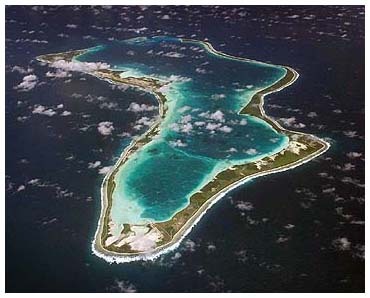 about Diego Garcia and the Chagossians. I found your website after seeing you in the Canadian "Zone Libre"
service men and women who have been stationed at the base. 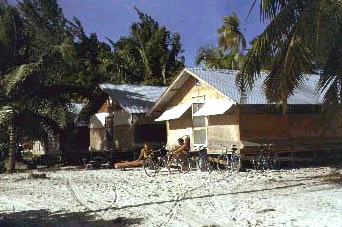 like you who have countless stories to tell about Diego Garcia. 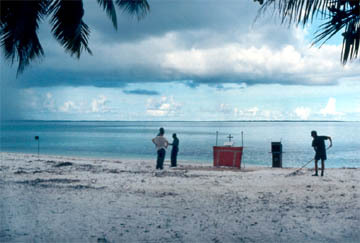 film, and as a sort of "open call" for stories of Diego Garcia. 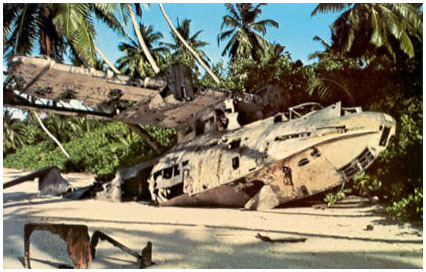 John Pilger's controversial Diego Garcia video documentary can be viewed online! Mr. Iain Orr is a retired UK diplomat with strong environmental interests. 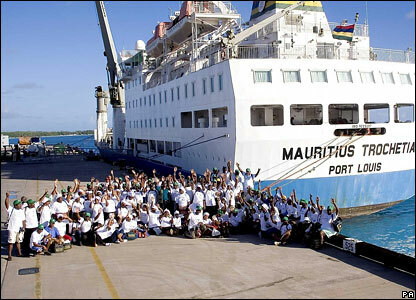 He is very much involved in efforts to help save the Chagos Islands. 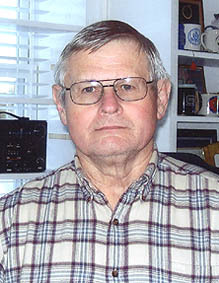 Mr. Orr founded http://www.biodiplomacy.net in 2002. PLEASE HELP ME FIND THE GUYS LISTED BELOW...Thanks! 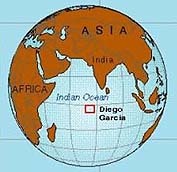 Diego Garcia is the largest of fifty-two islands which form the Chagos Archipelago, located in the heart of the Indian Ocean. 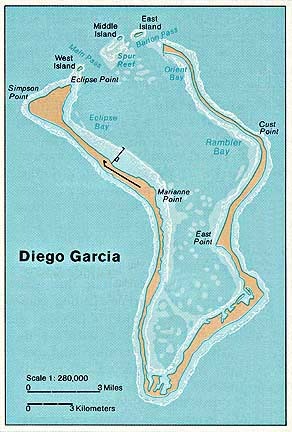 A tropical footprint-shaped island just 7 degrees south of the equator, Diego Garcia is heavily vegetated. 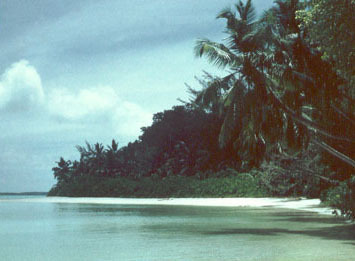 The island covers 6,720 acres in area with a maximum height of 22 feet and an average elevation of four feet above sea level. 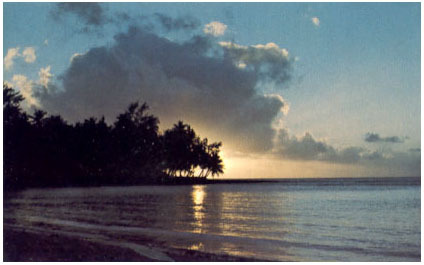 The shoreline is about 40 miles long and the island encloses a lagoon 6.5 miles wide and 13 miles long. acts as both Justice of the Peace and Commanding Officer of the Royal Naval Party 1002. 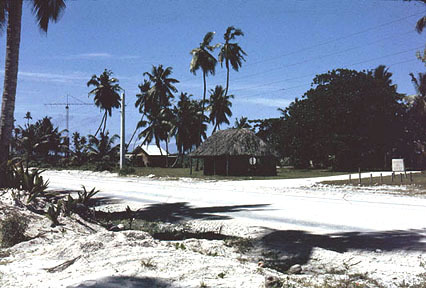 Until 1971, Diego Garcia's main source of income was from the profitable copra oil plantation. 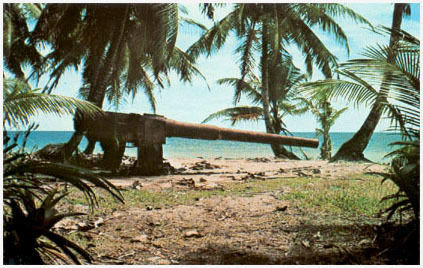 At one time, copra oil from here and the other "Oil Islands" provided fine machine oil and fuel to light European lamps. 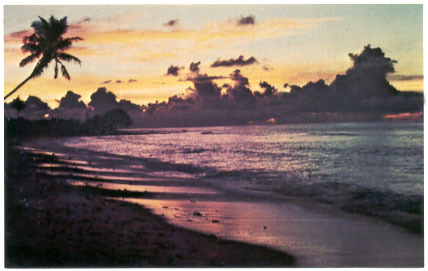 During the roughly 170 years of plantation life, coconut harvests on Diego Garcia remained fairly constant, at about four million nuts annually. 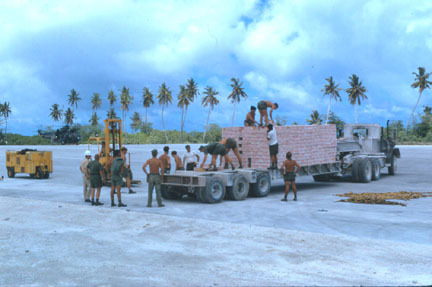 The plantation years ended with the arrival of the U.S. military construction. 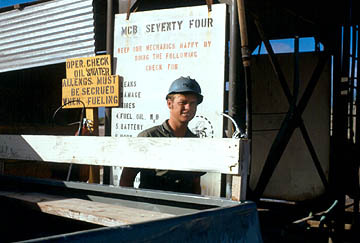 On March 24, 1971 construction began on a U.S. 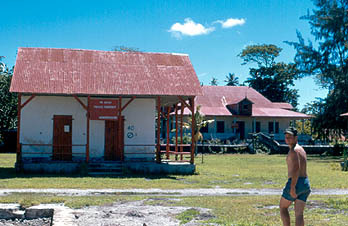 Naval Communication Facility. 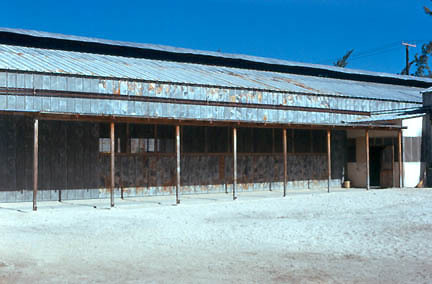 This construction was accomplished by units of the U.S. 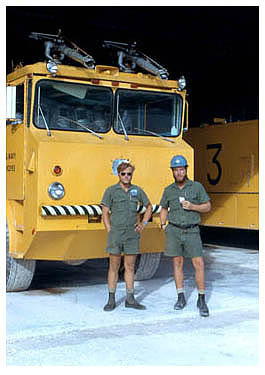 Naval Construction Force (Seabees). 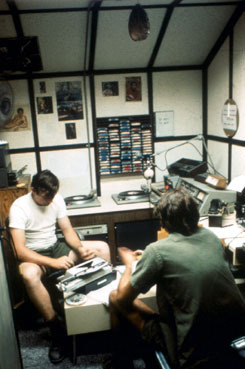 Naval Communications Station Pre-commissioning Detachment arrived to prepare for operations in December of 1972 and on March 20, 1973 the U.S. 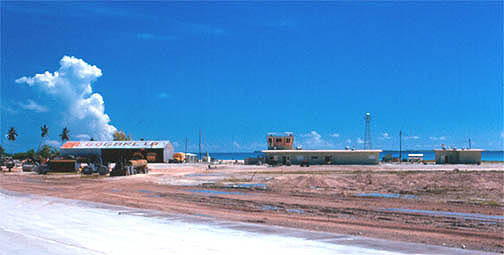 Naval Communications Stations, Diego Garcia, was commissioned. 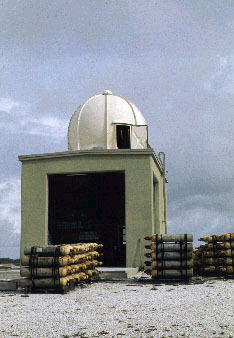 The communications facility was later changed to Naval Computer and Telecommunication Station (NCTS) in October of 1991. 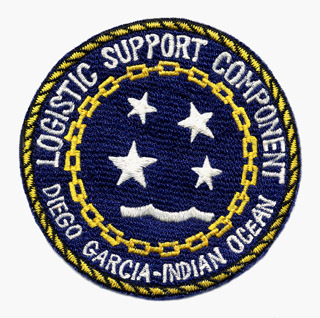 A major change to the island organizational structure occurred with the establishment of the Navy Support Facility (NSF) on October 1, 1977. Commanding Officer, NSF, assumed all duties and responsibilities previously assigned to the Island Commander. 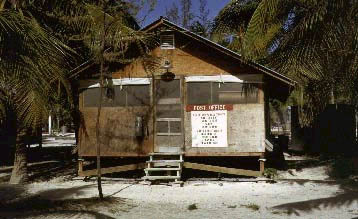 The nucleus for NSF came from the original Communication Station enlisted and officer allowances. 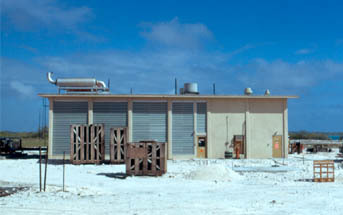 All billets, other than those dedicated to communications support, were transferred to CO, NSF, who is responsible for maintaining and operating facilities and providing services and materials in support of several tenant shore activities and units of the operating forces. 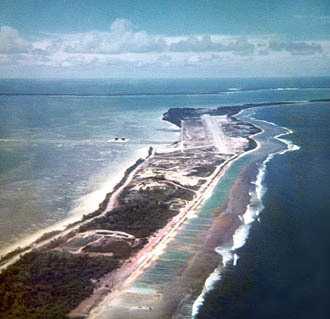 Following the overthrow of the Shah of Iran in 1979, Diego Garcia saw the most dramatic build-up of any location since the Vietnam War era. 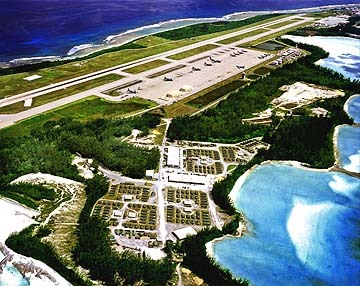 In 1986, Diego Garcia became fully operational with the completion of a $500 million construction program. 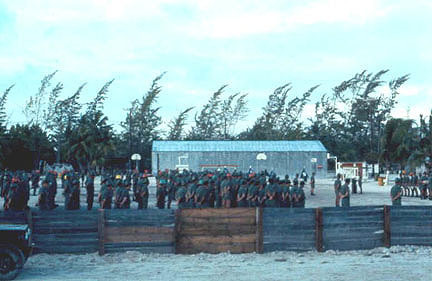 The 1990, Iraqi invasion of Kuwait marked the most intense operational period in Diego Garcia's history. 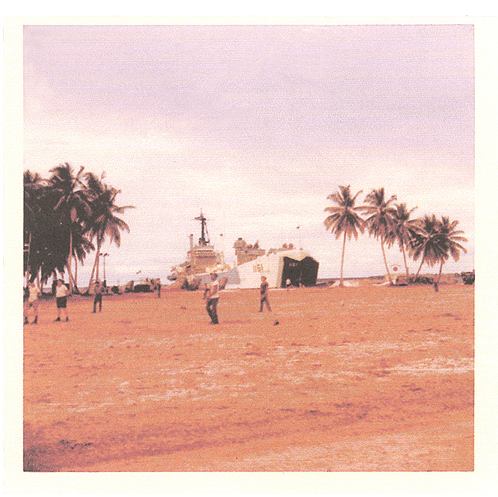 From 1 August 1990 to 28 February 1991, NAVSUPPFAC Diego Garcia achieved and maintained the highest degree of operational readiness and provided levels of support which outstripped all contingency planning. As the base population doubled almost overnight, with the deployment of a Strategic Air Command Bombardment Wing and other aviation detachments, workload base-wide increased from 300-2000% over peacetime levels with no personnel augmentation. 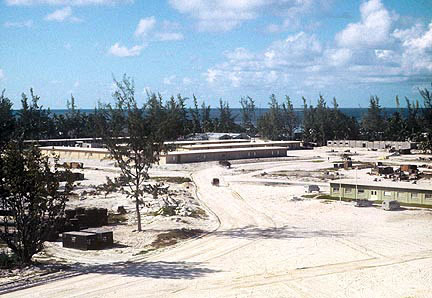 Diego Garcia became the only U.S. Navy base that launched offensive air operations during Operation Desert Storm and Diego Garcia remains a vital link in our defense structure. GARCIA, Diego, Portuguese navigator, born in Lisbon in 1471; died in Madrid in 1529 (according to Sala, about 1535). He entered the Spanish service in his youth and undertook in 1511 an expedition to South America, the accounts of which have been lost. 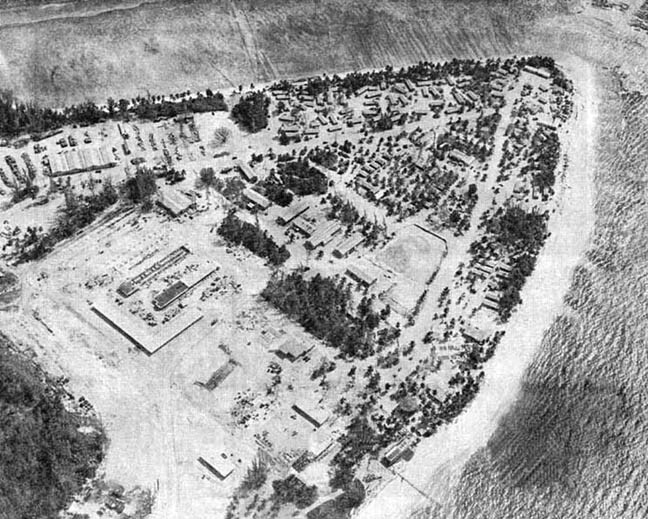 Garcia was at Palos de Moguer when Charles V resolved to send an expedition to explore the southern seas under Sebastian Cabot, and at the same time the mercantile company, formed for the spice-trade at Coruna, fitted out an expedition, of which the command was given to Garcia. He sailed with three vessels, 15 January 1526, from Cape Finisterre, and, after a long and stormy passage, anchored in San Vicente, 11 January 1527. 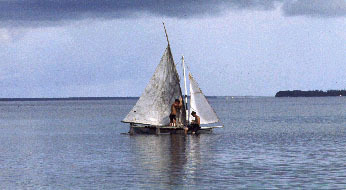 There he found a Portuguese settler, Joao Romalho, who had been abandoned on the coast by the first discoverer of Brazil, Pedro Alvarez Cabral, and from him obtained provisions. After exploring the Uruguay River, and sailing up the Parana as far as 27° S., he met, in July, 1527, a launch, manned by Europeans, from whom he learned that Sebastian Cabot, whose expedition had left Spain after him, was besieged by Indians farther down the river. Garcia sailed immediately to his aid, and, after de-fearing the Indians in several battles, continued to explore the upper course of the River, and, leaving his ships at the mouth of the Paraguay, ascended that River in his boats as far as 18° S. He fought continuous battles with the Indians, and, not finding any precious metals, abandoned his exploration, and in October, 1528, sailed for Spain. 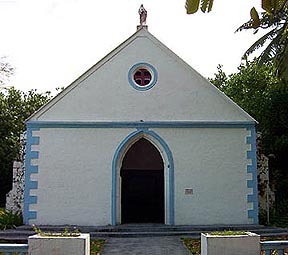 He is said to have made, about 1532, a voyage to the East Indies, in which he discovered the fertile Island named after him, situated about 400 miles from Mauritius. 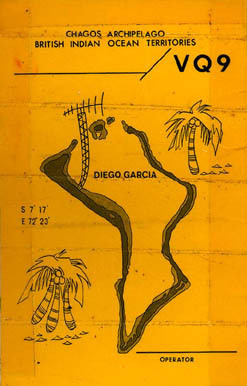 Garcia's narrative of his expedition, with a map, was published in the 15th volume of the "Revista do instituto historico e geographico do Brasil." 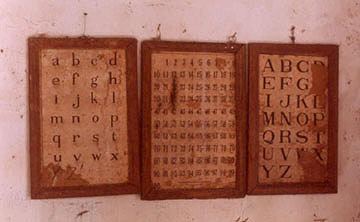 See also A dolpho de Varnhagen's"' Historia Geral do Brasil," and Ferdinand Denis's "Le Bresil." 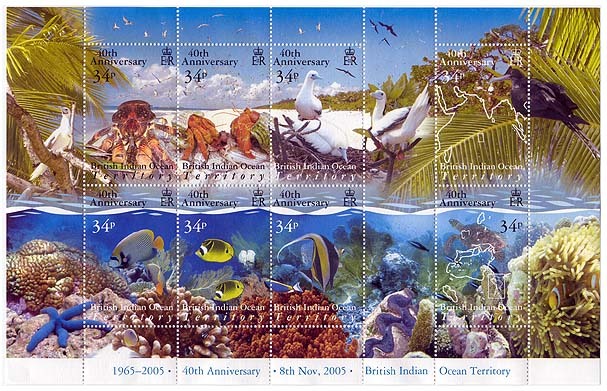 A recent set of stamps celebrating the 40th Anniversary of the B.I.O.T. 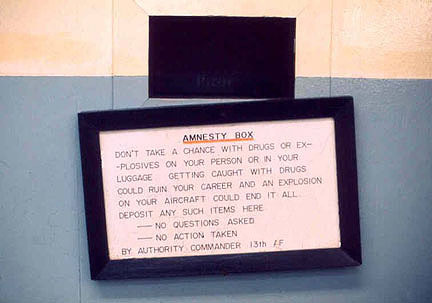 Amnesty Box in men's room at Utapao AFB, Thailand. 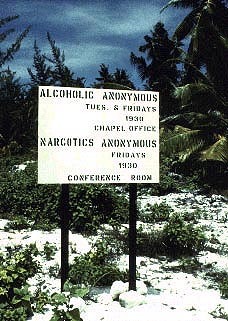 I discovered this prior to boarding my flight to Diego Garcia in 1972. It was a hole cut in the wall with a hinged flap door. I always wondered who the guy was on the other side that got all the free drugs. On the road to town. 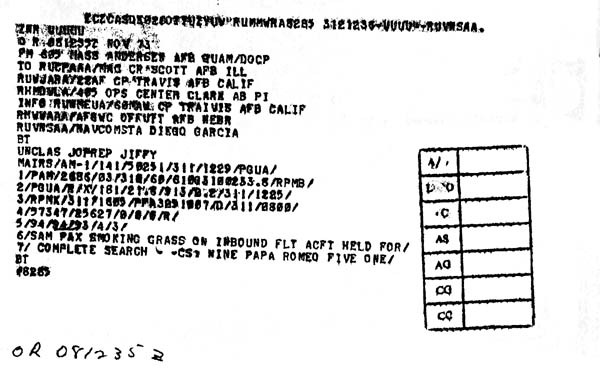 Navy personnel...then handed down to another when leaving the island. I 'owned' a red kayak. Morning Quarters on the ball field. The trees were naturally bent from the constant prevailing winds. 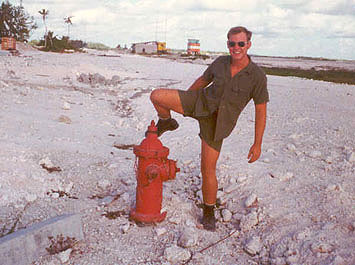 ABHAN Alton R. Rollins marking his territory at the airfield. 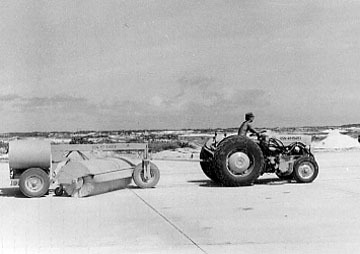 Note the makeshift "control tower" in the background. 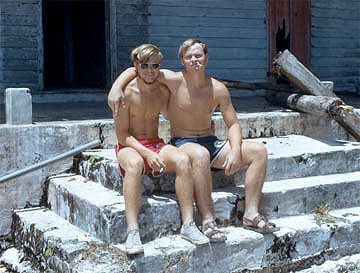 Alton Rollins and me at the PBY on the plantation side on the island in 1973. The following photos are a tribute to our beloved buddy, Alton Rollins. 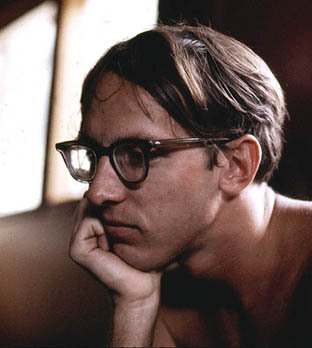 Alton died in a private plane accident in 1987. Alton with his usual...cashews and orange juice. 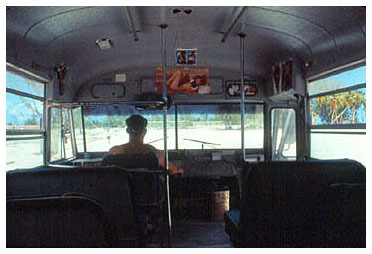 On our way to the plantation. 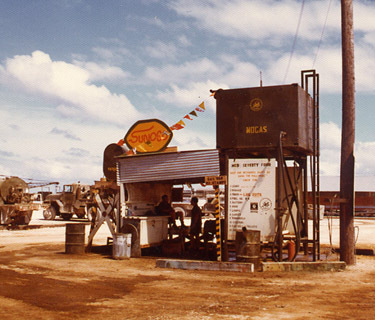 Gassing up the truck at Alpha Company. The night watch at Air Ops. 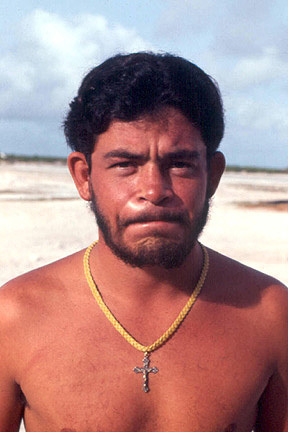 "Planet of the Apes" impersonation. into a large concrete cistern. 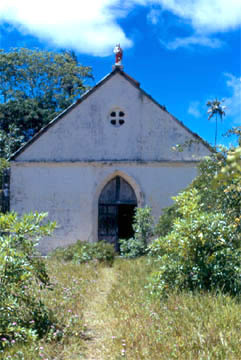 The old schoolhouse on the plantation. 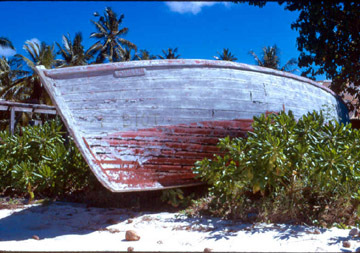 One of many abandoned boats at the plantation. 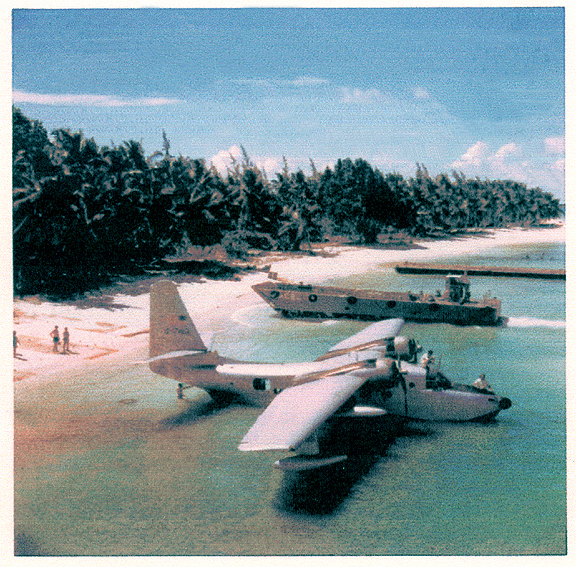 PBY and native boat on the plantation beach. 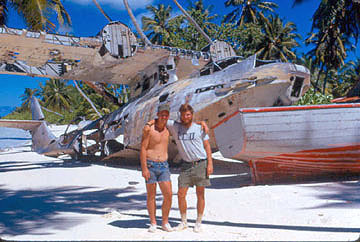 Yours truly in front of "Katie the PBY". 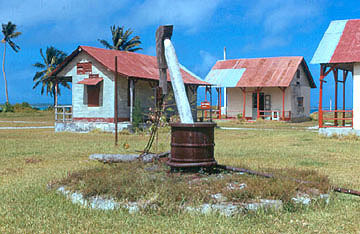 This is a large mortar and pestle used to crush coconuts at the plantation. It was powered by donkeys. The donkeys now roam wild on the island. This truck smashed into the chow hall one night. It was discovered in the morning. Nobody knew who did it! 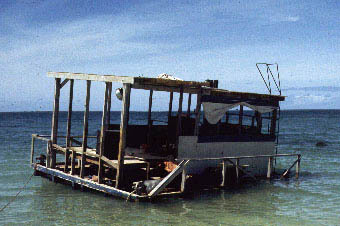 The "Island Queen" party barge...half sunk after a storm. She had a large outboard engine...55 gallon drums kept it afloat. Outhouses, beer, bug spray and cigarettes (in hand) kept us going! The excrement was burned daily with diesel fuel. 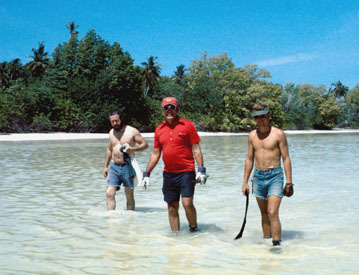 Alton "Tex" Rollins and Gary Starr exploring the lagoon. God! Were we really that young? 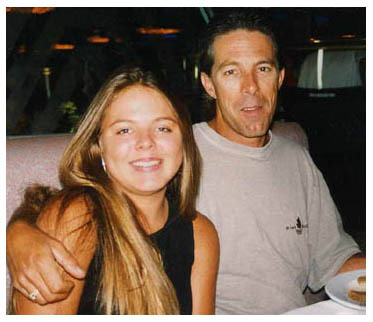 Gary Starr and his precious daughter, Summer. 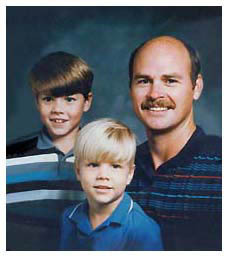 Sadly, Gary passed away in 1998. We've got lots of good times to remember you by, Gary. 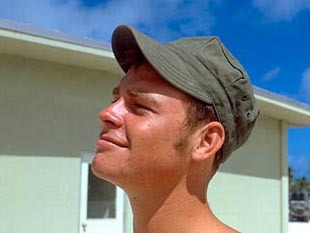 AGAN Lester Reel...tracking a weather balloon. and Diego Big Burger (walkup windows on the right). other side of the building from the previous photo. Many of my photos are simply "record shots"...no people in them. I enjoyed walking around snapping pictures on lazy Sunday mornings. water to these water towers. 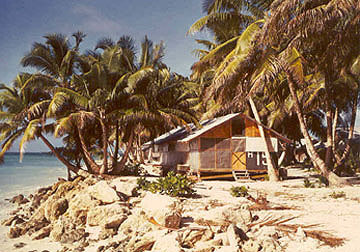 The desalt barge in the lagoon. The article below is by Al Jarrell. 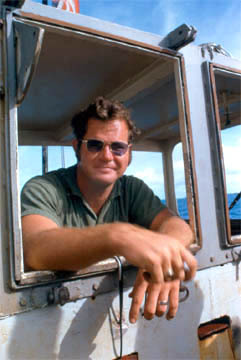 He worked on the desalt barge from August 1973 - May 1974. The desalt crew was part of Bravo company and whoever chose this crew must of had a flash of brilliance. Every one of these guys were from the south (around the Ozarks) and they knew more about distillation than any 10 engineers in the battalion. That was a good thing and a bad thing. Good because they were the hardest working bunch of fools I have ever seen...bad because it gave them access to top quality supplies and they extended their knowledge of distillation into the development of a couple of stills on the island. Damn near got caught when some of the Brits got in a card game with us and got a nose full of good ole 'white lightning'. 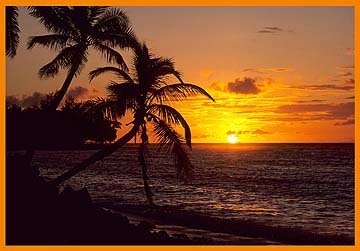 I swear to God those Brits were climbing the palm trees and barking at the moon that night. Funniest damn thing I have seen in my life. 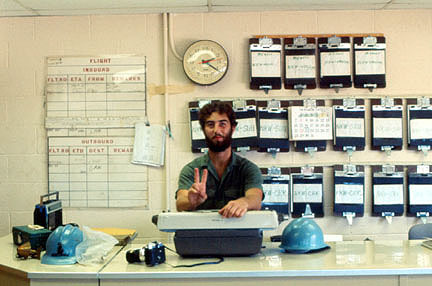 ABHAN Robert "Crab" Carbonaro in our brand new Air Ops building...1973. The Crab did a great job of handling arrivals and departures! Aerial shot of "downtown"...circa 1973. 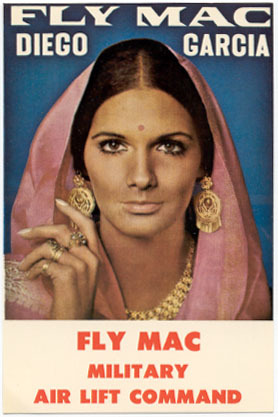 Aerial photo by Dave Tilki...circa1973. Notice where coral is being dredged along the outer shore. 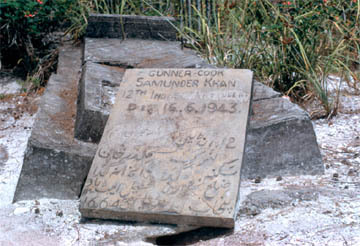 The coral was used as agregate to make concrete. Our link to the outside world. 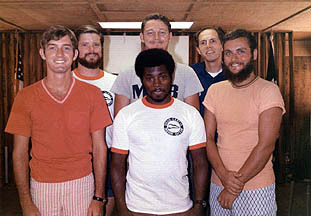 The M.A.R.S. 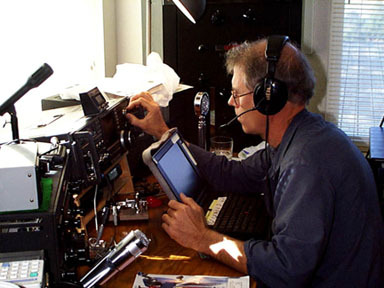 radio shack...where you called home via ham radio. Jim Stroud is on the left...Ralph Vradenburgh on right. If you can identify the others, please let me know. 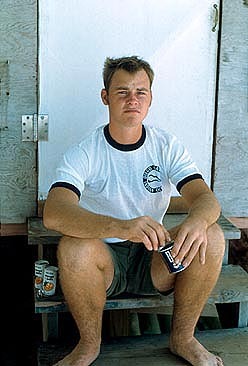 a fallen Seabee who died in a crane accident. 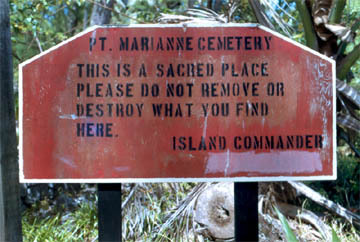 The entrance to one of several old graveyards. 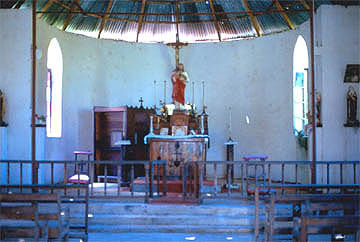 Interior of the old plantation chapel...1973. The white spots are 'light leaks' from holes in the roof. 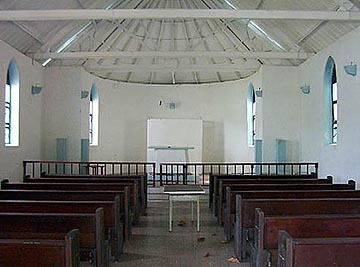 Interior of the old plantation chapel...2002. An old anchor found on the beach at the plantation. AG2 Ralph Vradenburgh is on the left...AG2 Jim Stroud in the middle. 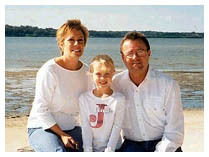 If anyone can identify the person on the right, please let me know. deuce-and-a-half. Yikes, what a tan! 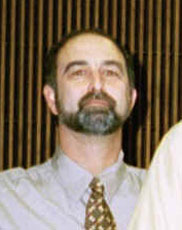 Ralph Vradenburgh in year 2003. Mark Pederson getting some "Diego Justice". 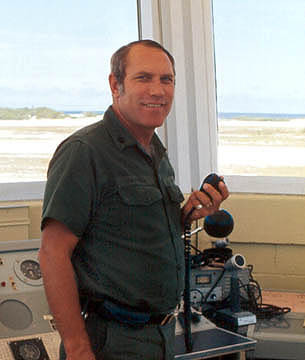 in aviation. 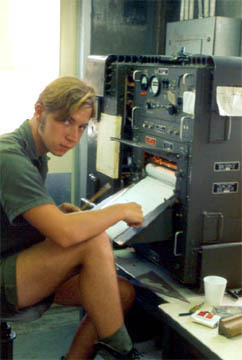 He currently is a Flight Engineer with a large U.S. airline. 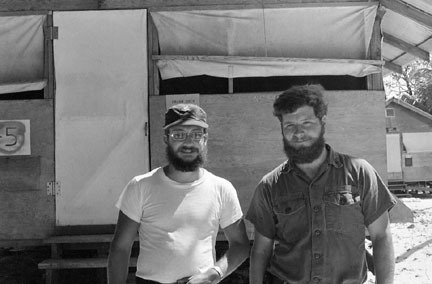 Dave Tilki (left) and me at the "Crash Barn" (where the crash firefighting trucks were kept). and recently retired as an E-9. The white object I am holding is a partially devoured styrofoam cup. I developed a habit of chewing them up after finishing my coffee. 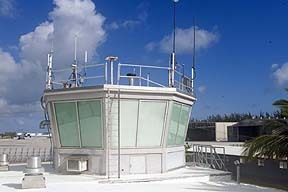 The new air terminal and control tower still under construction. 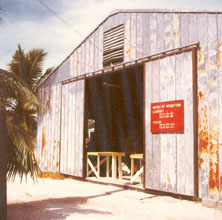 "Crash Barn" is on the left (Diego Garcia written on roof). 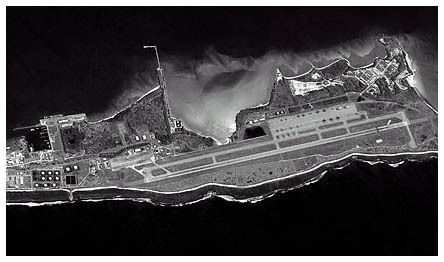 A present day satellite photo of the airfield. A group of thirteen wild donkeys beside the runway. hoping to scare them away. 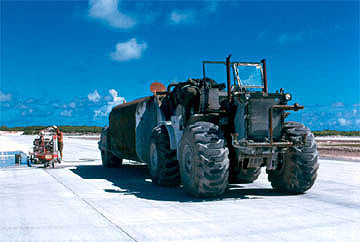 The runway at Diego is the longest coral-aggregate slipform paved runway in the world! 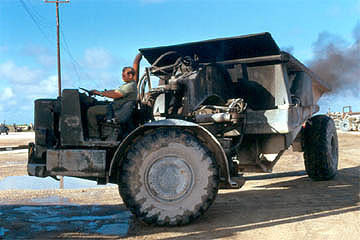 The Seabee in this photo is using a grinder to smooth the seams in the concrete slabs. 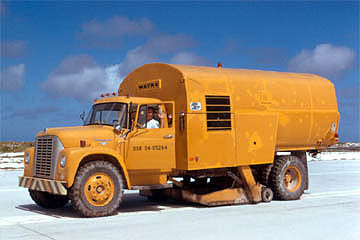 The large piece of equipment is a water tanker, used to assist the grinding process. 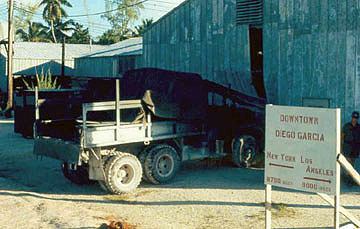 An Athey-Wagon...the workhorse of the Seabees! 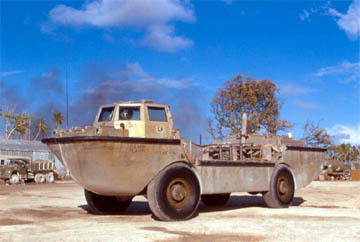 This amphibious craft was used for fishing excursions. 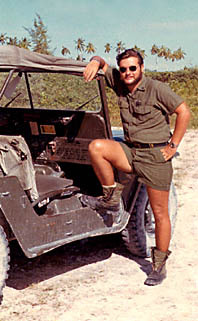 BM2 Easterday...he worked at Harbor Ops. 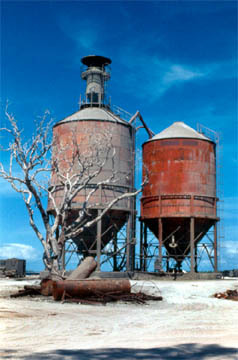 The cement silos down by Harbor Ops. 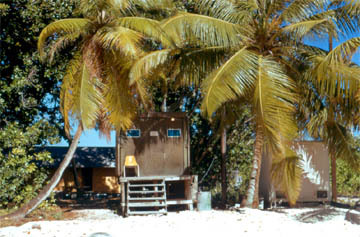 The "Diving Locker" located by Harbor Ops. 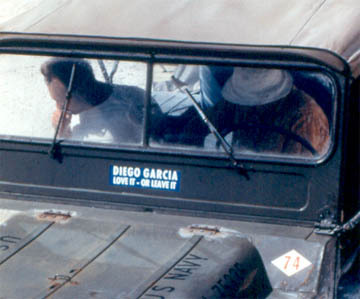 A bad photo...but this was the Britrep's jeep. Note the bumper sticker. 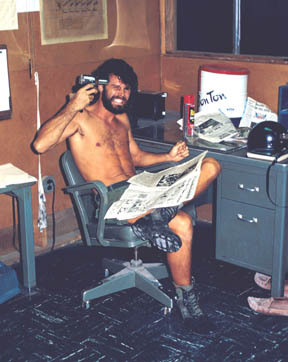 This was during the Vietnam War...when "America...Love It Or Leave It"
bumper stickers were popular back in the United States. The Britrep is wearing the white hat. 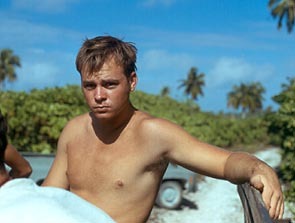 ABH Daniel Vaughan with his homemade surfboard. 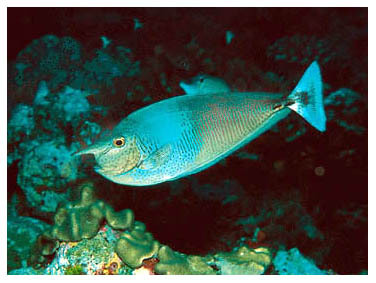 This is a Unicorn Fish. jutting from their head. I came upon a large school of these while snorkeling. It scared the heck out of me. I'd never seen anything like them before! 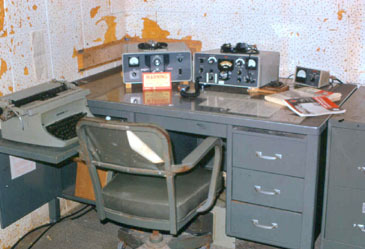 The new T-Site (Transmitter Site) generator. 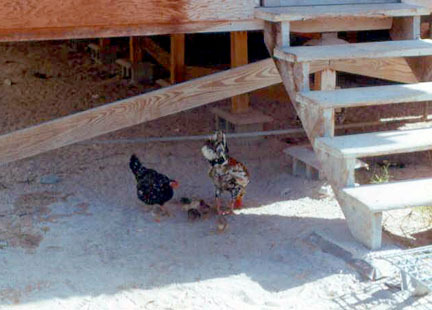 Nobody here but us wild chickens (look closely for the baby chicks). 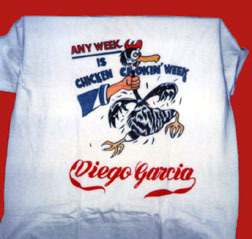 A Diego Garcia t-shirt...circa 1979. 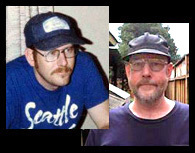 Thomas Lawson in 1982 (left), and again in 2002! 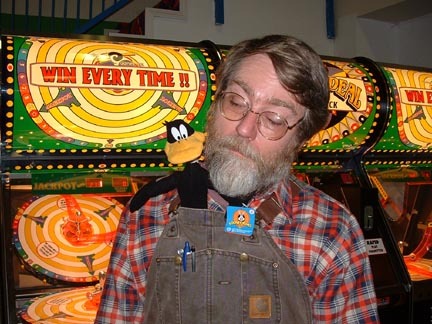 Contributor of the Chicken Chokin' T-shirt photo (above). 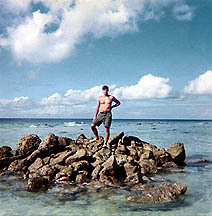 Dave Cutten (foreground) was on The Rock in 1973. 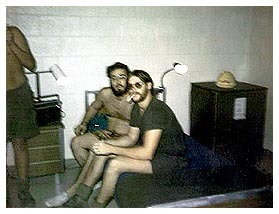 He submitted this photo of hanging out in the "new" barracks. 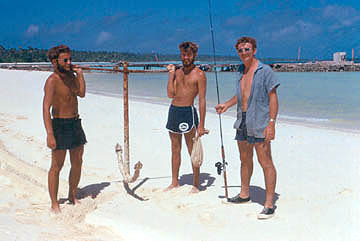 displaying a small shark he caught back in 1972.
along to carry them in...that's what Dave Tilki (far right) is carrying in his right hand. 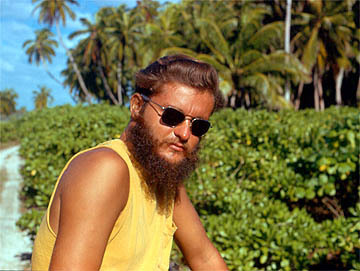 There were no women on the island. ...this is your brain on drugs! Any questions? 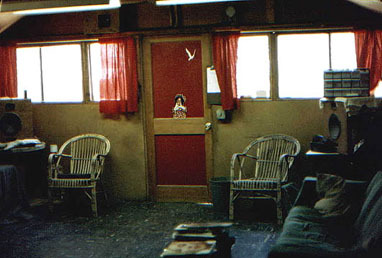 Interior of the Navaids Hooch. 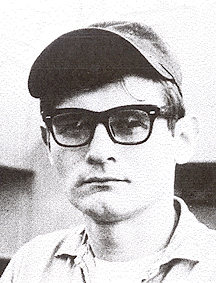 ET Eldon "Eldor" Mikenas at Navaids. 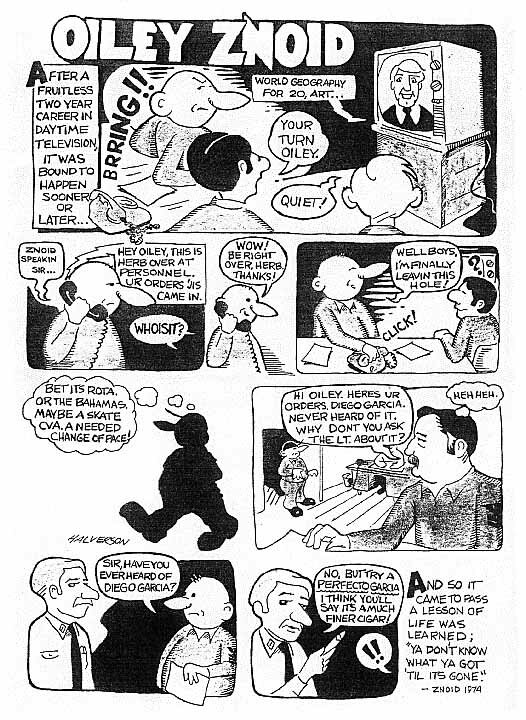 Prototype of cartoon strip created for the base newsletter by multi-talented "Halvatron". Ultimately, it was shot down. ATCU4...midway between downtown and the airfield. Personnel looked forward to the arrival of this supply ship. She had a reputation for sneaking in questionable cargo. (note British helo at far left of photo). 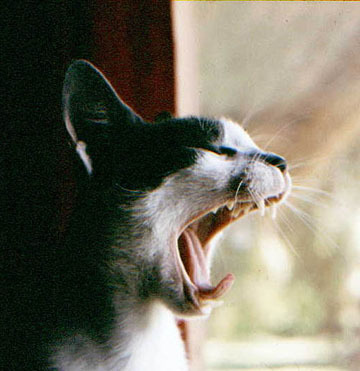 This is Ted Morris' favorite shot of mine. The price of soda and beer was the same...20 cents. 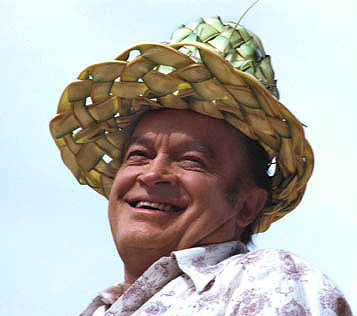 Christmas Day, 1972...The final Bob Hope Christmas Show. 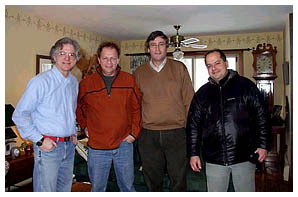 shots from the show posted at Ted Morris' website. Check to see if you are in the crowd! 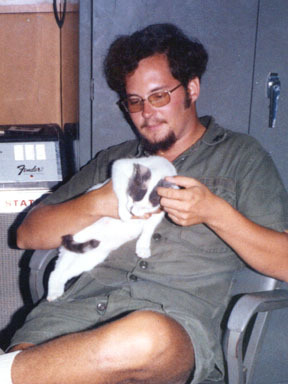 Karl "Fuzzy" Manzer (pictured in the previous photo)...in year 2003. 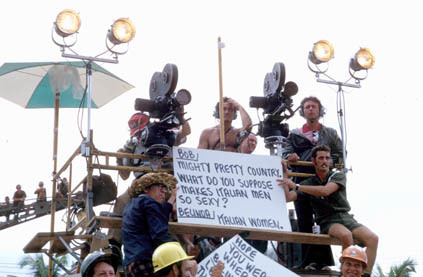 Cameras rolling at the 1972 Bob Hope Christmas show. Thanks for the memories. It was a great show! 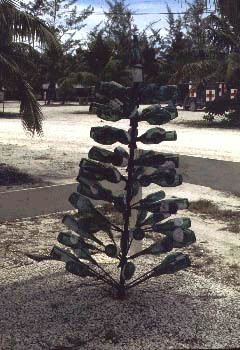 made in order to be here with us on Christmas! 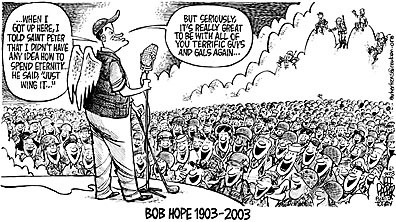 God Bless you Mr. Hope. Maybe someday we'll catch an encore! Used by kind permission of cartoonist Jeff Parker...Florida Today News. 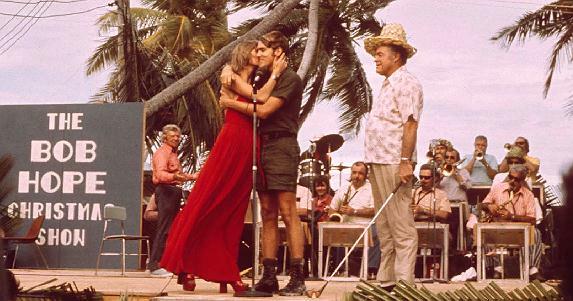 into each other on Diego when his new ship (the USS Lasalle) visited the island. A "birthday cake" the guys made me. 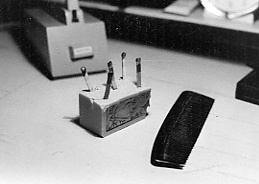 An eraser with matches stuck in it. ABHAN Gary Starr "sweeping" the runway. We finally got a new (actually, it was "used") runway sweeper! 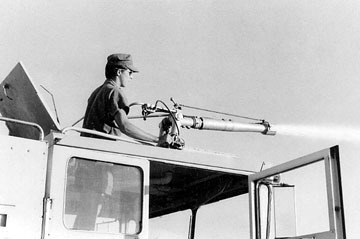 ABHAN Randy "Bozo" Hazard is shown here with the sweeper. ABHAN Gary Starr testing the crash firefighting gear. 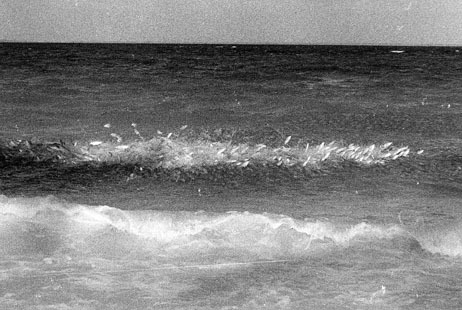 mullet jumping out of the water in the lagoon. had turned back because of passengers (pax) "smoking grass". 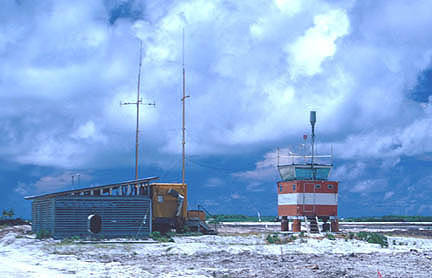 The original control tower back in December of 1972. It sat atop four 55gallon drums. 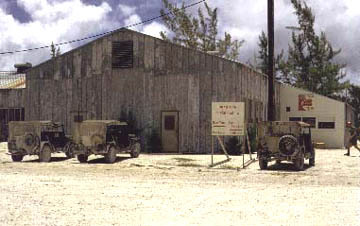 To the left is the generator shack. and only one flight per week...a C-130 supply plane. 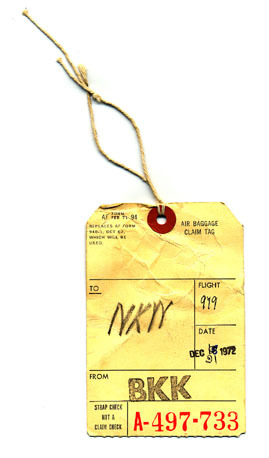 The flight was named "Klong 979". 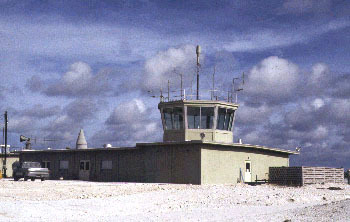 The new Air Ops/Control Tower built mid 1973.
now used just to position weather antennas. 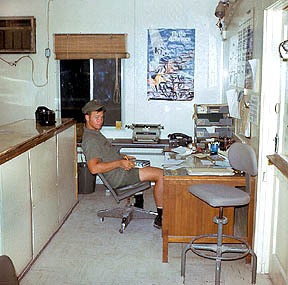 AC1 Caldwell in his new control tower. 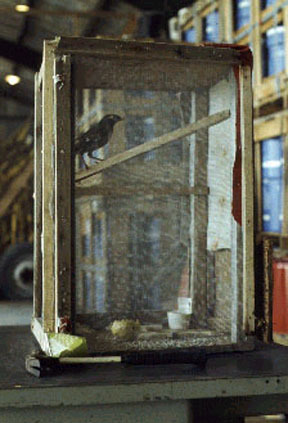 Our pet myna bird was kept in the Air Ops Crash Barn. We tried, unsuccessfully, to get it to say "_ _ _ _ the Navy". 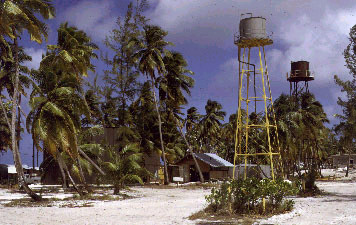 A Diego Garcia VQ9 ham radio QSL card. 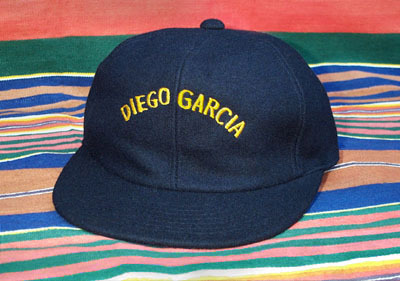 Diego Garcia baseball cap atop a 'Mauritius Blanket". 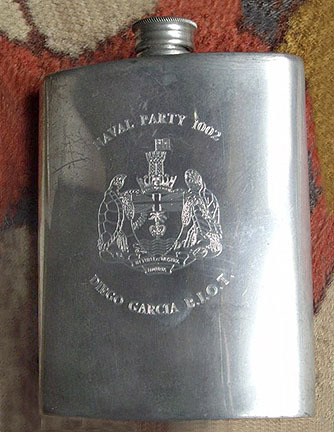 Roger Cole submitted this photo of a Naval Party 1002 flask he discovered. He would like to learn more about the history of this flask. Please email him at supergun@wanadoo.fr if you can be of help. My area of our hooch. 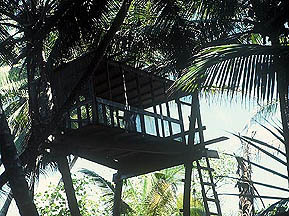 My favorite spot in the lagoon. 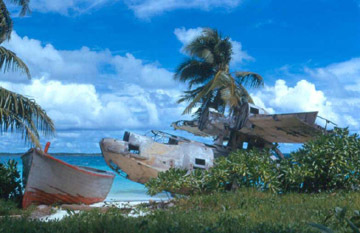 Checkout Keith Dreher's great Diego Garcia Photos! 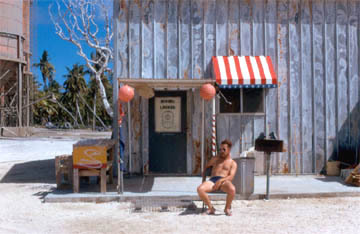 Back in 1972-1973, the Ship's Store didn't sell picture postcards. These are courtesy of Thomas Lawson and others. 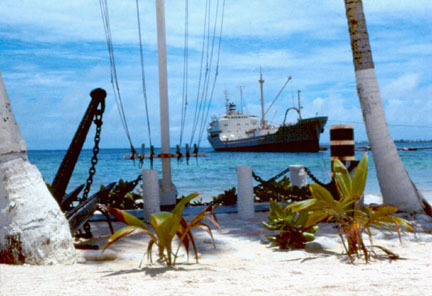 USS Vernon County (LST-1161), beached at Diego Garcia to begin construction operations. 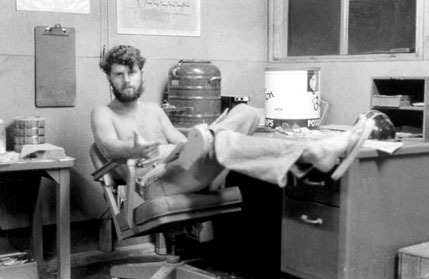 Thank you Mike, for the nice historical shots! Combine with ice and shake well.